In the blog post 'Twin Flames: A Love Affair' I already gave an account of what a true flame is, how we recognise it and why we meet them. If you didn't read it, you might want to do so now, as there seems to be a lot of false beliefs regarding the subject and there are many taking advantage of this situation. Once we meet a twin flame, our life turns into a roller coaster. The feeling that such love is overwhelming and eternal is ever present. There is a sense that we finally made it home, but we are not there yet. The path before meeting our twin flame is never easy, and it doesn't become easier once we meet them. Every fear is reflected and every demon comes out to play and dance wild. Once the connection is made physically and we are aware of the existence of the twin flame, the only way to get rid of all demons and fears is to heal. And healing is a process we have to do alone, whether we are in a relationship or not. When one of the twins is a runner, they would do anything in their power to end the relationship even if they are in love. It doesn't make sense and it does not have to make it either. There is nothing we can do to stop it. Let's remember that they know everything about us; there is nowhere to hide. They know who we are and they see our flaws and frailties even before we do. When it comes the time to end it, they certainly know which buttons to push. And they will. Even if we don't react to their provocations they will run away. It is supposed to be this way. We might have suffocated them with love, but there is no one to blame.Giving all the space in the world would have no made any difference. It is important to remember that we have signed a contract before we came to this world and we must follow it even if we disagree with it now. Separating from the twin flame is devastating. This is the real heartbreak, the one that subconsciously we were looking for in order to heal completely and become free once again. The human understanding of heartbreak makes it impossible for many to heal, having a negative effect on the relationship with the twin flame and ourselves. At this point, heartbroken and feeling rejected, the inertia of our habits would compel us to hold on to anything that remains from that relationship and ask for their return. This is the opposite of what we have to do, but thoughts of possession, jealousy and fear take over to nullify whatever ability to reason we have been left with. The pain is unbearable. Hopelessness and despair take over. There is a powerful reason for this, of which I will write about when the time is right. This is the perfect time to be alone and use all our energy to take care of ourselves and heal. However, loneliness lands heavy on us. All feelings and emotions we go through are overwhelming. It is a very delicate moment in the life of a person, which some never manage to leave, as heartbreak, longing and suffering become their new false identity. Once the relationship with the twin flame is over, it is essential that we let go of them. This is particularly difficult in a twin relationship. We know we belong together, that no one else will ever understand us as they do. We are not only separated from a partner and a lover, but also a best friend. Whether the feelings and thoughts we go through tell us that we will never find someone better or that we can never be happy without them, letting go is the answer. The reasons why we have to let go are simple. If you really love them, the best you can do for them is to heal yourself so they can heal too. One has to heal first. It is time to take responsibility also for our love. This is how we express love for them when they are no longer in our lives, by letting go. We still love the; they will always have that special place in our hearts and souls, but we must let go. Our reward is that they touched us where no one had reached before, but this is only to awaken in us a part that was asleep and that is essential to reconnect with the soul. Life will never be the same again. To honour our love for them, we celebrate their existence, our time together and we continue loving. Letting go is a different expression of love. Both tradition and society have falsely taught us that love relates to possession; to a life of togetherness. That is not love, but the tyranny of the fear of being alone. The soul is a gypsy in love that wants to travel, go on an adventure of self-discovery and in most cases, we have to do this alone. The fact that the relationship never ends and we are always connected to them should suffice. While we are still human, we must remove our social conditioning so as to return to love. Without letting go neither can heal. We are here to learn love and to heal. Letting go of whom we most love is one true expression of unconditional love and a certain way to reconnect with the soul. The reunion of the twin flames will never occur until we have mastered the art of letting go. It is also essential that the other person let's go. The fact that they are runners doesn't mean that they let go at all. The more energy they use to escape, the stronger the connection becomes even if there is not physical contact. And even though it might appear as they have taken the decision to end the relationship, the runner is the one that suffers most and they will continue suffering for reasons I will explain in a different blog post. 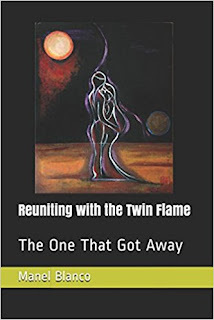 For two twin flames to reunite, both parts have to let go. This is the reason why one person alone cannot attract them no matter what we do or how proficient we might be in manifesting. The twin is a soul, a free spirit, and anything we can humanly attempt to attract them will never work if only one of us has this intention. 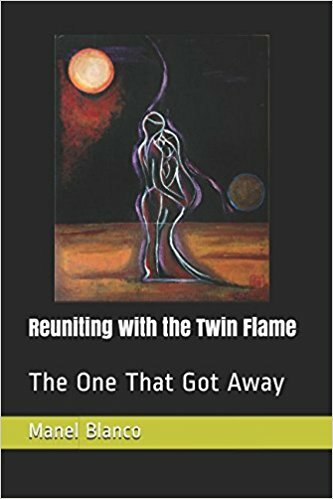 A twin flame does not appear to everyone, and if he or she has in this lifetime, perhaps we have to wait another twenty years or to another life to finally reunite. Letting go is also love, and perhaps, only perhaps, you are here, I am here, we are here only to learn to let go. When we let go, we are free and we are love and we are in love. Keep loving, keep trusting and be; just be. Everything will appear at the right time.